Don’t turn around, Don’t go into the cabin alone and always, always for the love of god turn the lights on when you walk in the room. This week is HORROR week. Muhuhahahaha. This little flick SHOOK the world in 2017 when it came out and wowed us all. Following a Black Man meeting his White girlfriends family for the first time, there is a constant underlying race attitude that creeps through the whole film. I can’t really go into what happens or even why it happens but I can say the tension created, the feel of the movie and the acting all add up to make one masterpiece that personally I felt was wronged at the Oscars. Amazingly there are two stories going on at once, the man story of the man dealing with the family and then a side story of the man’s friend who begins to worry about him. While one story is dark, horrific and scary the other one brings a light aspect of comedy to a dark harrowing film which works perfectly. The tones and subject of the film is the scariest bit, it echos reality so well and makes you come to terms with society as we know it and the idea that actually we might be living in the horror film. If you have not seen it – please please please go and check it out. A very new entry to this list, only being a few months old this film instantly became a hit in my eyes. Following a Family trying to survive from an unknown monster threat that hunts using sound. Resulting in the family having to remain silent for the majority of the movie. Que tension and suspense from silence – they way this movie works is pure genius. Showing the lengths you would go to protect the ones you love, adjusting to a dramatic change in life and also trying to teach children how to adapt without freaking them out with the truth. There are some amazingly beautiful sweet moments in this film of the family, the relationships they have and how this situation might seem to be tearing them apart but is actually making them stronger by the effects of what they do to survive. Scream is in my eyes an instant cult classic. Taking the Genre of the Slasher movie and making it self-aware. When this came out, it was modern, new, fresh. We had seen Halloween and Friday 13th – but this time round the victims knew of Horror Films and were aware of what you should do to avoid being caught. As a Slasher film based around another Slasher film the world just works, it’s scary but relatable with the key scene at a party where the group talk about the rules to surviving a horror movie. It’s a great bit of fun, with some tense moments a twists that keep coming for you like a madman with a knife in the night. I don’t know if you agree with me but to me, M Night Shyamalan started off so strong and then his films just went down hill. Until Split came out. This one hit hard and took him back to his roots of amazing filmmaking. Following a man with multiple personalities as he kidnaps three girls to use as tribute to “The Beast” – the film takes twists and turns and just keeps you on edge the whole time. 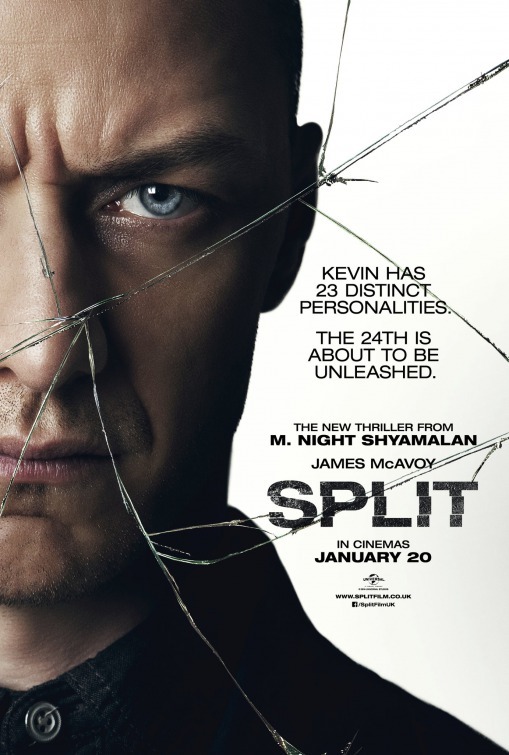 With some amazing acting from James McAvoy who seamlessly creates personalities for all the characters he is playing. Then to throw in the ever more surprising cameo from Bruce (the legend) Willis turning this film into an indirect sequel for Unbreakable. Now with a third film set be released throwing the two movies together – can’t wait. This one made my list for the memory of it more than anything – if you know the film you might agree with what I have to say. The first half / two-thirds of the film is brilliant, scary, horrific. Two teens driving home witness a figure dumping what looks like a body in a drain and then drive off in a big old dirty truck. Like classic American High schoolers they decide to investigate. To find a room down the drain pipe were the walls and ceiling is cover and decorated with human bodies, skin and remains. Chilling right. They decide to leave, then the film turns into a cat and mouse game as the truck starts to follow them. 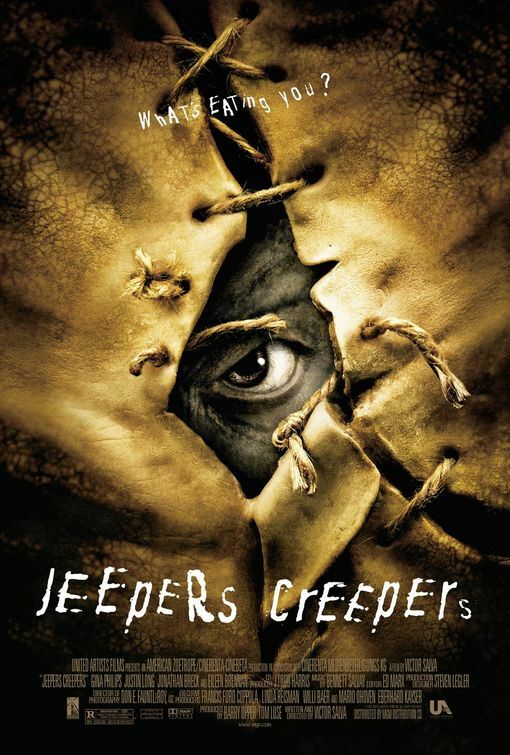 Throw in some creepy musics (Jeepers Creepers), some more spooky goings on and the fear and you have a great movie. . . . until the kids are confronts by the figure, revealing he is a creepy looking monster. (This is still ok in my eyes) They run away and end up running him over – cool, creepy vanish would work now. But no, the filmmakers decide to add a new element that ruins the whole film for me. They turn this creepy figure into a bat! Tension builds as they see the body laying on the floor, crushed and mangled – then POW a Wing appears. The rest of the film goes downhill as it goes from the tense scary horror of an unknown figure dumping bodies and driving a truck, to being chased by a giant bat. But the first part super scary and I stand by it. Do you know what I mean? Do you agree? Have you survived this post? No bites or claw marks right? Just remember when you go to sleep – to check under your bed. As always boys and girls this has been a spooky pleasure. Until next week – if you make it to then. . . . .
I’ve stumbled across a map, X marks the spot and the jewels are waiting, hidden in the vase in some dusty attic. I had a top five picked out but the more I thought about it the more I thought, Fantasy is a HUGE genre. I have always loved the Indiana Jones trilogy (we don’t talk about the Crystal Skull) and they were a big part of my growing up, at one point I wanted to become an archeologist just like our lovable rouge Indy. But truth be told the real reason the Last Crusade wins is simply because of one charmingly dashing Scott – Sean Connery. Playing Indy’s father he brings a new level to Fords character as we watch the two play off each other in such a dynamic duo. Following the hunt for the Holy Grail, this film ticks all Adventure Fantasy boxes in my head. 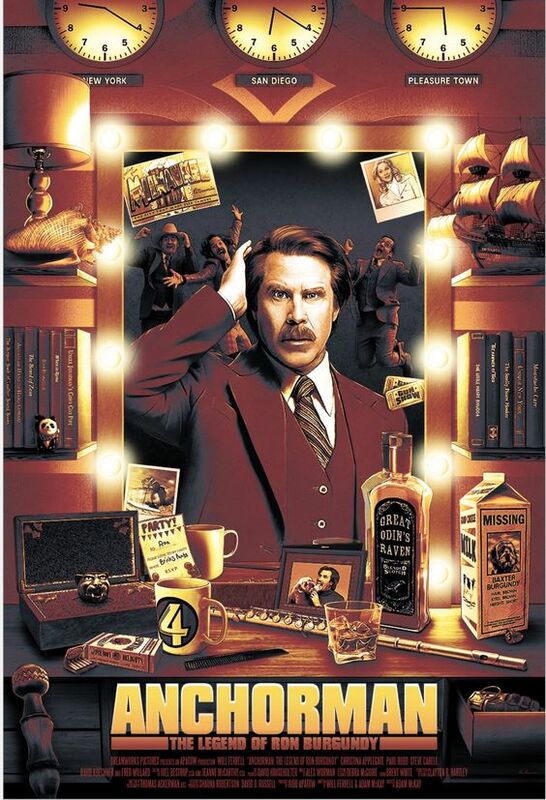 Action, Humour, Good vs Evil and booby Traps. There was also a family story, that the Tank Indy fights on near the end, was my dad’s uncle Ted’s tractor that the studio bought of him, stripped and repurposed into a tank. I never asked how much truth was in this – but the whole family were in on this. Hmmm. Can’t have a genre like this without throwing something from Jackson’s catalogue of masterpiece Tolkien films. For me LOTR beat the Hobbit set (even though it’s slightly dated now days) and within those three – all are amazing in their own right but for me the second instalment wins and let’s be honest, that is because of the Battle of Helms Deep. But also as story, I think the 2nd of a trilogy is very important. It’s got the biggest job of linking the two bookends, picking up from the first with such momentum that it can carry itself , while building the cliffhanger and suspense for the final piece. Two Towers does that and so much more. Bringing key characters, plots and arcs into the Middle Earth world. With amazing action sequences, brilliant character chemistry and just opening up the vast fantasy world of Tolkien. This film and the whole franchise are a must. Savvy pick hey! 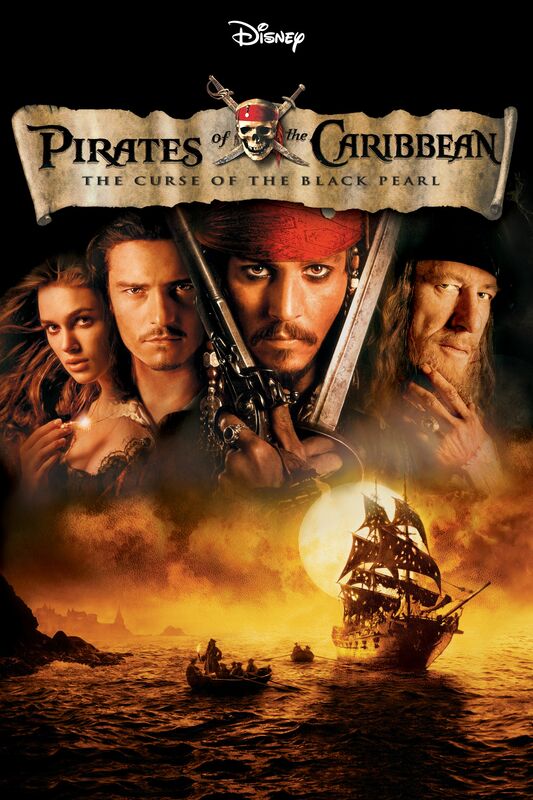 I really enjoy the Pirate films, Captain Jack Sparrow is such a fun character and Johnny Depp plays him so well. Following the antics on the seven seas, this film introduces us to the world of pirates, ghosts, ships and swagger. As the story focuses on cursed Aztec gold – which leaves a crew invincible but ghostly and stuck longing to be free. It has everything that you expect, swashbuckling fights, sun soaked locations, witty one liners and rum, lots and lots of rum. 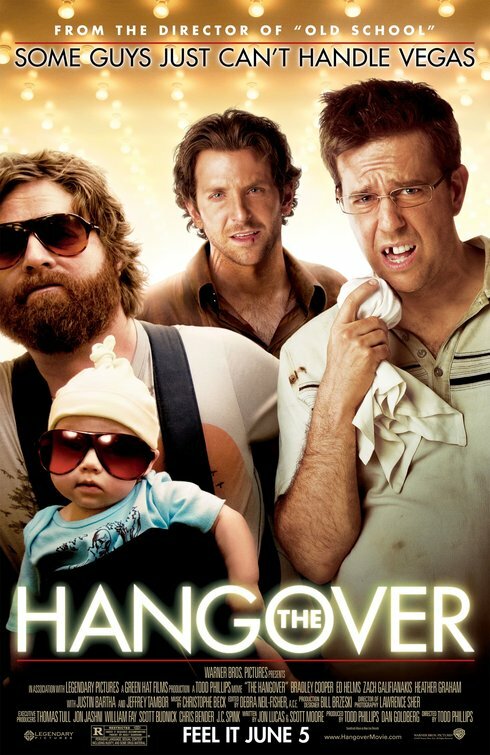 Yes the franchise is still going and yes maybe they should have stopped a couple of films back, but regardless I love them all – they are just fun easy going films and without a doubt the first easily earn’t a space on this list. Little fact for you, this is the first and only film I ever downloaded (in the naughty sense). Because I was so excited to watch this film, bringing awesome literacy character together in one stylish gothic noir style world what is not to love. 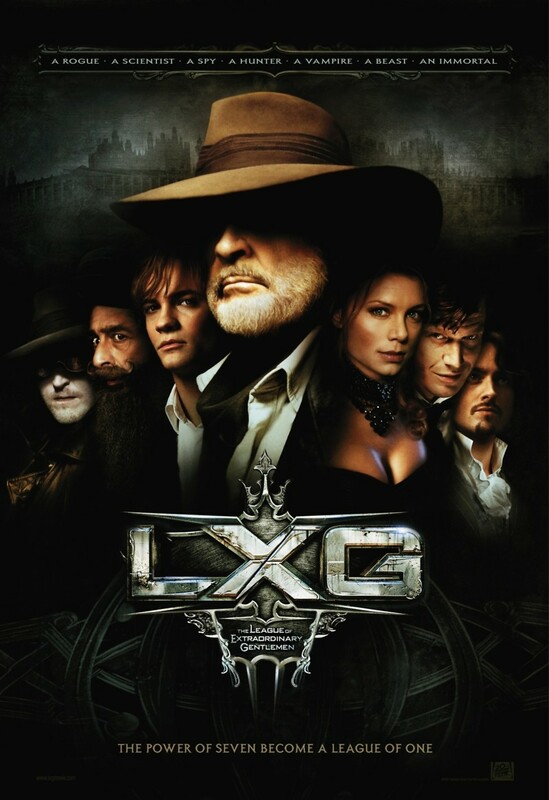 Following Allan Quatermain, The Invisible Man, Mina Harker, Tom Sawyer, Captain Nemo, Dorian Grey and Jekyll/Hyde as they team up to face a new world terrorist on the turn of the century. The Phantom who turns out to be James Moriarty the villainous arch-enemy of Sherlock Holmes. The film itself got panned and in turn didn’t generate enough interest or money for a sequel but I none the less loved it, the casting, the sets, the way they bought these characters together was amazing. I guess it’s a guilty pleasure but one I highly recommend people see. Not the Tom Cruise surprise but the 1999 version with Brandon Fraser. As a kid this was also one of those films that, if it was on – regardless of where it was in the film I could put it on and enjoy it. 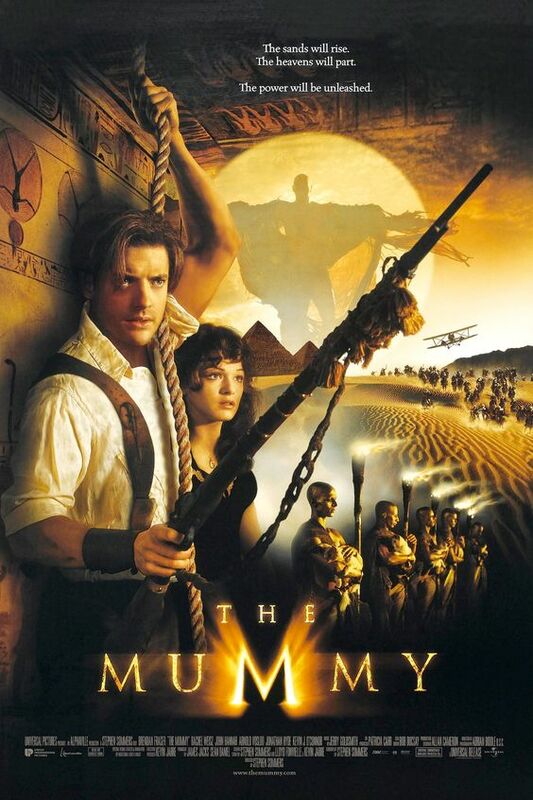 After a group of archaeologists accidentally wake a cursed priest mummy who is hell-bent on bringing his bride back to life to rule the world, our heroes have to set out across Egypt to find a way to stop him and bring peace back to the world. If you like shotgunning the undead, over the top humour, cool dark arts and just some awesome fantasy fun. This is the one for you! Nothing too serious, just some easy-going fun. Thank you for another spellbound, knife wielding fun old post. What do you think of my picks? Is there something that should be on the list? What is your list? Don’t forget to like and share this post and also vote for the next genre. Man Vs Movies – Top Five Thrillers. No one is safe, no one is trusted, nothing is what it seems. This week its Thriller week! There isn’t a single MJ tribute act in sight. Just Me, You, Five Films and a feeling of confusion as you struggle to understand what is going on and your adrenaline begins pumping. This one seems to slip under people’s radar and I can’t for the life of me work out why. It’s an amazing film put together by Christopher (Dark Knight) Nolan and is backed up with the incredible talent of Guy (You know his face) Pearce. 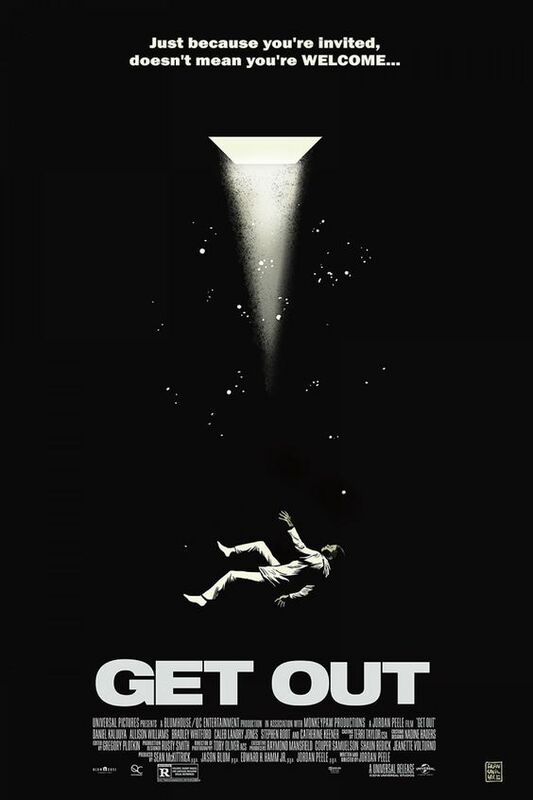 The Narrative of the film plays in two lines, jumping back and forth from either timeline. Due to the nature of the film this style works ridiculously well. 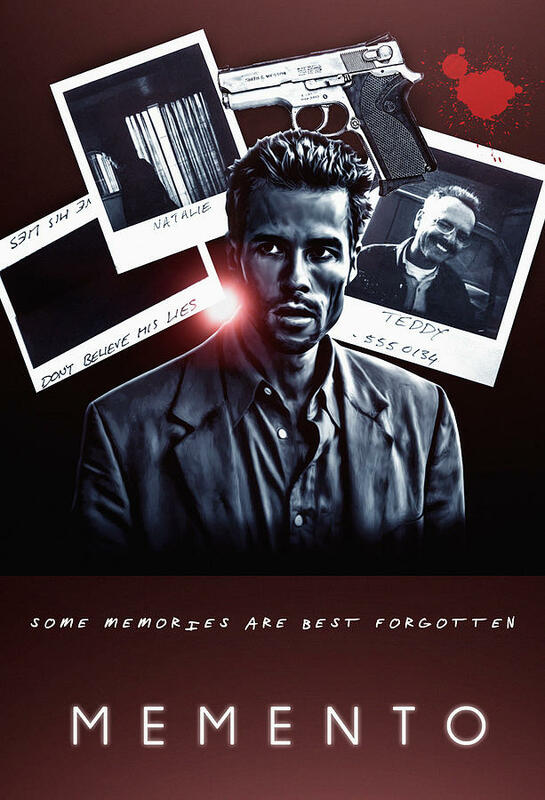 It follows a man who can’t store short-term memories ever since the night he was attacked and his wife murdered. But determined to find the killer he sets out on the hunt, aided with notes, photos and tattoo’s – he is against all odds, not knowing what is truth or a lie and not being able to trust his own mind will he have closure. It’s a superb, smart, gritty film that after one watch will have you hooked and ready for a second viewing. Now I think a lot of people have mixed feelings on this film, with the own interpretation of the ending. Which can be said about all of these movies as thrillers and twists can be very subjective. 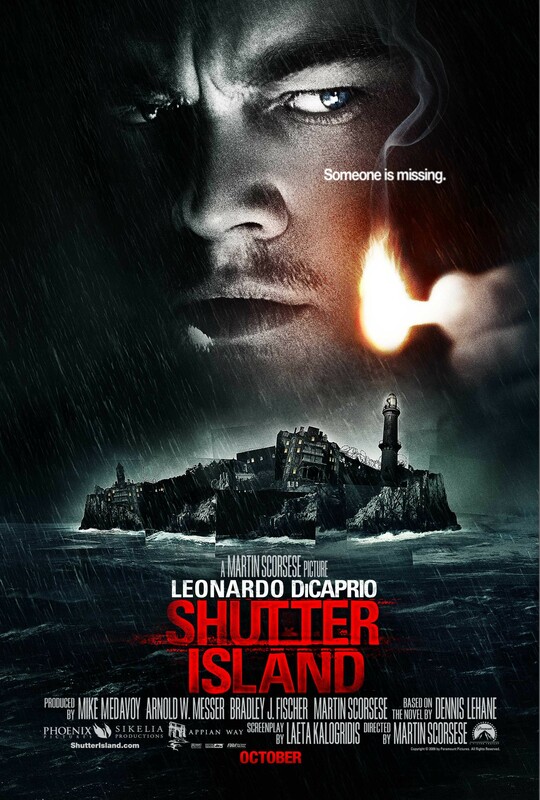 This film follows a US Marshal investigating a missing persons case on a remote secluded Island that is home to a Psychiatric Hospital. As they get to the island as storm sets in, leaving him and his partner stranded on the Island for a few days. Paranoia sets in as the pair try to uncover the truth as to what happened to the missing woman, mixed with uncooperative staff members, crazy patiences and the elements beating them back. The case becomes harder and harder until the final act where the storm breaks and so does the case. What happened to the woman? I think it’s a great rollercoaster and has some great twists, based on the German Existential Horror Movie – The Cabinet of Dr. Caligari. The film oozes the same creepy noir style that will leave you a little scared and confused. Prisoners really hits home with some people because it plays on one of people’s biggest fears – something happening to their children. In this two young girls go missing after a joint family meal for Thanksgiving, it follows the Detective on the case and the four parents all dealing with it in different ways. It’s highlights man’s nature to try to rationalise everything, while also showing the nature to do whatever it takes to protect family. As the spiders web of twists and turns continues to get darker and deeper the family and Detective are put into the ring and have to overcome so much to get an answer. Resulting in the final answer, the ending result and the outcome. With an amazing cast which I have to praise Jackman and Gyllenhaal for their performances. The film stands out and if you haven’t seen it you really should. I can’t rate it enough. 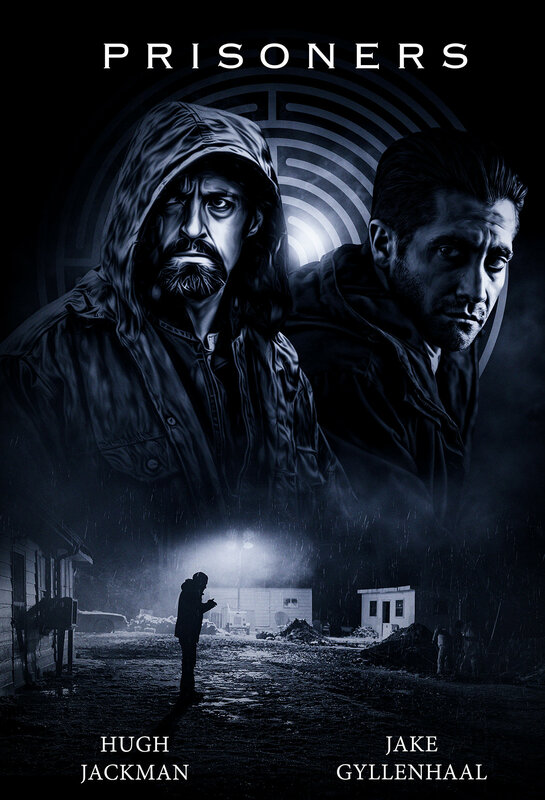 Looks like Mr Gyllenhaal is popping back up on the list – maybe he does too many Thrillers, or maybe I really rate him. The second I think. This film I missed at the cinema and was really gutted I had, after watching it I was mesmerized by it. It’s a strangely beautiful film which in some respects blurs the lines between reality and fiction. Following an Art Gallery owner as she reads her Ex-Husbands Novel dedicated to her. The story starts to hit home as she started to notice similarities between the novel, the characters and their own broken relationship. I can’t say much more as it get very complex and I worry spoiling something, but I will say stay focused, stay aware of everything, what is real and what is the novel. And also who is who. It’s dark, it’s complex, its exiting, I love it. But good luck. ALSO COMPLETELY FORGOT – I can’t praise this film without mentioning Michael Shannon. Such a talent, this film shows he’s abilities down to a T and you will not be disappointed. DUE TO THE RULINGS AND AGREEMENTS WITHIN THE GROUP. I AM NOT AT LIBERTY TO DISCUSS ANYTHING RELATED TO OR INCLUDING THE MENTION OF SUCH GROUP. Thank you once again for your continued support and love of these posts. I love doing them, sharing my thoughts on films and just giving recommendations. I hope they are good. Until next time dear reader. . .
Man Vs Movies – Top Five Animations. Welcome to week 3, how are we doing? How’s this series treating you? I’ve had a lot of awesome feedback from people saying that I’ve sold unseen films to them and they are planning on giving them a watch. Or joining my praise of such Top Five entries. Which is awesome. So the poll has spoken and this week we are covering Animation. Now let me start by saying Disney nail this category let’s be honest. We all know it, I know it, you know it. But in the interest of fairness I have only added two Disney gem to the list. This doesn’t mean I don’t rate more or enjoy them. Maybe they even deserve their own list. . . hmm let’s see. Anyway lets jump to the list. This one is a real gem which I think gets overlooked most of them, it’s highly underrated. It follows the journey of Super Villain Megamind an alien who defeats his enemy the almighty Superhero, Metro Man. But after time passes he starts to feel lost and empty. With the idea to create a new Superhero to rival him he accidentally creates another Super Villain. As he tries to fix things he finds a new-found love for being the Hero and sets out to save the day. 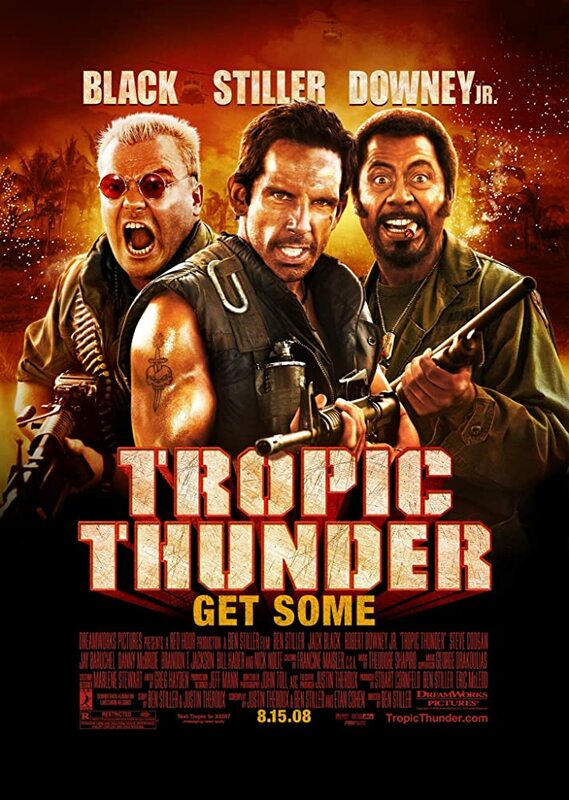 It’s just a fun, easy-going movie with a stellar cast, a great storyline, groovy soundtrack and great comic presence. This one passed me by first time round and what was I thinking. It’s a hilarious storm of pop culture references and quirky comic gags. The story follows Ralph, again like our first entry, he is the bad guy who just wants to be the winner for once. Constantly observing Felix his partner in the game, win medals and be praised by the people of the tower block. Ralph decides to break out of his game and find another one where he can win his very own gold medal. Dipping and diving into several different style games we witness Ralph from and old 8 Bit Video game he is used to enter the world of new online shooters and confectionary based racing. It’s a cute story with real heart and if you are like me and love little nods and nudges to other games, movies and all things pop culture it’s the one for you and I can not wait for the next one to come out. Thinking about it I am not sure how to explain this film without giving too much away. But let’s try. Following the scream team duo Mike and Sully as they go about their normal everyday monster lives in the scream factory producing screams and harvesting it as a source of energy. 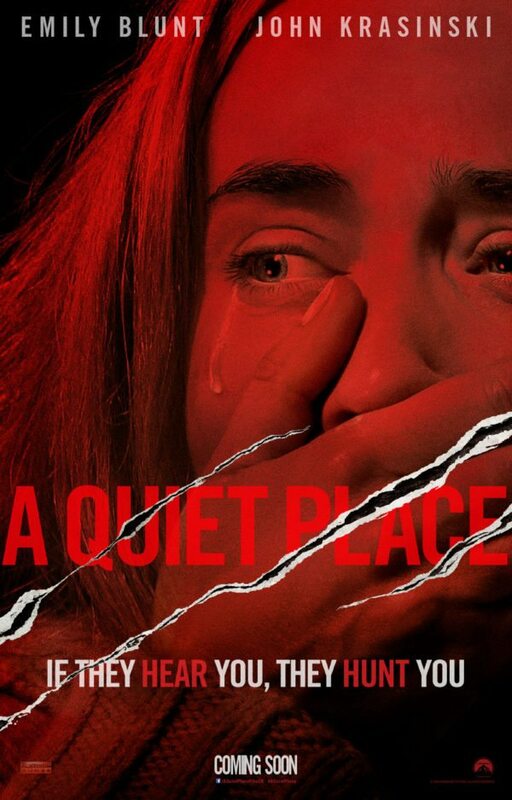 There life is thrown out of whack when an unexpected visitor appears and they must restore normality by getting the visitor home safely while avoiding and uncovering a darker plot that will affect everyone. With an all-star cast of voice actors being led the way by John Goodman and Billy Crystal this film becomes better and better with each watch. It always scares me how old these films actually are, this one came out in 2004 and the first one in 2001. Like what the fudge? The line between 1 & 2 in my eyes is so close but the one thing that tips number two over and makes it the better film is Jennifer Saunders as the Fairy Godmother, her sass, her humour and her rendition of Bonnie Tyler’s Holding out for a Hero just make it for me. In true fairytale style the film tackles many themes we have known for years from Disney and the Grimm Brothers stories. About Love, Betrayal, Jealousy and Heroes. With some spectacular cameos, Pop Culture references and other fairytale references the Shrek world gets bigger, wilder and more fun. 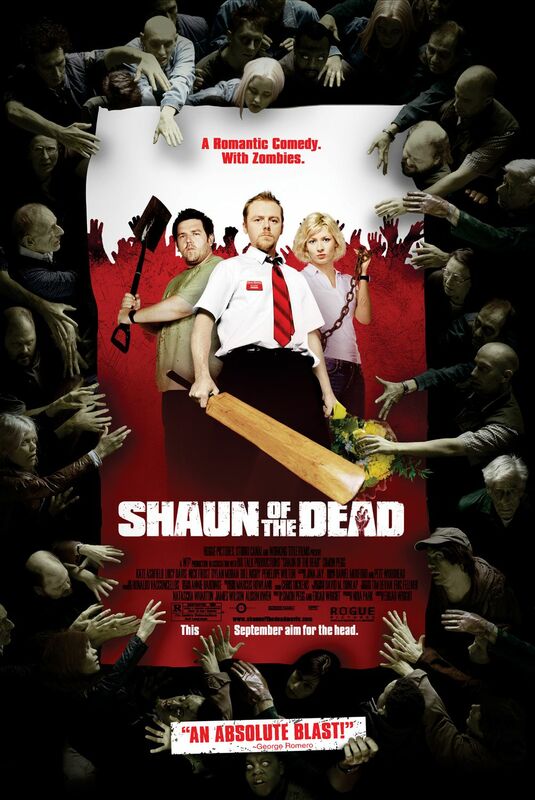 Throw in Puss in Boots, John Cleese and an Alien Chestburster reference and the film is golden. I love this film, hand down my favourite Disney Animation film and what is not to love, the telling of the Robin Hood story, as a cartoon, with catchy songs and animals. Perfect right. You know the story of Robin Hood I am sure so we won’t go into what the film is about. But I will say, the animation and humour holds up which is great for a kids film from 1973. The songs are so catchy I have them on an MP3 player somewhere and when they get stuck in my head they are there for days. As far as Robin Hood films go this one is up their in my eyes joint with Prince of Thieves. Which is also nice to add that both versions are Academy Nominated films. If you are looking for a lazy chilled sunday I highly suggest this film just to while away the hours with some upbeat songs and a touch of British history. So if you find yourself in need of a film to keep the kids entertained and chilled for an afternoon, or maybe you just want something easy-going with a bag of sweets. All are great shouts. I’d love to know what you think and what your favourites are. Did I miss any classics? Please no hate for not putting the Lion King on here – I do love it! Pleasure as always people. MWAH.